Ambassador Ron Dermer praises Trump's statement following Pittsburgh attack, calls for united stance against anti-Semitism. Israel’s Ambassador to the US, Ron Dermer, spoke to Fox News on Sunday in the aftermath of the murderous attack on the Tree of Life Synagogue in Pittsburgh, Pennsylvania. “Israel is the one and only Jewish state, and today the people of Israel mourn with the people of Pittsburgh, not just the Jewish community but the wider community. I attended an event tonight that brought faith leaders – Muslims, Christians, Jews – and they came together to say ‘no’ to this type of hatred that unfortunately claimed 11 lives,” said Dermer. “Not only did I hear that statement, I heard it applauded by all of Trump’s supporters at that rally. That should tell people that this is the actions of the extremes. It could be neo-Nazis on the right, it could be militant Islamists on the left, it could be all sorts of people in between. 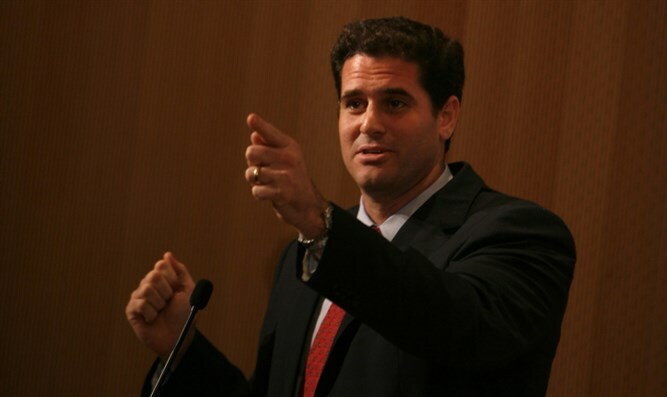 Anti-Semitism is not a product of one side of the political spectrum,” said Dermer. “What I think has to happen is that people across the political spectrum should stand together against this hate and they shouldn’t just call out anti-Semites on the other side of the political aisle. They have to call out anti-Semites on their own side of the political aisle,” stressed the Israeli Ambassador.